There are indications that crude oil production may have decreased as Nigeria’s rig count for the month of December 2017 showed a slight fall to 28 as against 29 recorded in the month of November, data from the Organisation of Petroleum Exporting Countries, OPEC, showed. This is coming at a time Venezuela; another OPEC member posted an increased rig count of 10, as it recorded 92 in December, as against 82 in the previous month. The 14 OPEC members recorded a total of 550 rig counts last December as against 548 recorded the previous month. Iraq was second to Venezuela in terms of increase in rig count. It recorded an increase of three, having had 54 in December, as against 51 recorded in November. Leading the OPEC loss pack was Algeria, which had minus five, having recorded 50 as against 55 during the period under review. It was followed by Saudi Arabia, which had a loss of four, following its record of 142 rig count in December, as against 146 rig count recorded the previous month. Ecuador tallied with Nigeria with the loss of one, having recorded a rig count of five in December as against six recorded previously. Eight other OPEC members showed no change in their rig count during the period under review. Iran, United Arab Emirate (UAE), Kuwait, Qatar, recorded 61, 53, 6, respectively, while Angola and Gabon recorded two each, as Equatorial Guinea and Libya recorded one each. Non OPEC members saw an increase of 30, having recorded 1,621 rig count in December as against 1,591 previously. World rig count witnessed an increase of 32, as it recorded 2,171 in December as against 2,139 in November. Going by regional rig count, Latin America gained 14 units in December to 195, up 11 year-over-year, while in North America; the US was up 19 units to 930, a rally of sorts, as it marked the first increase in average monthly rigs running since July 2017. Canada was up 1 unit to 205. The Asia-Pacific region dropped 4 units during the month to 217 but was up 25 rigs compared with its December 2016 average, while Africa declined 8 units during the month to 77, down 1 year-over-year. 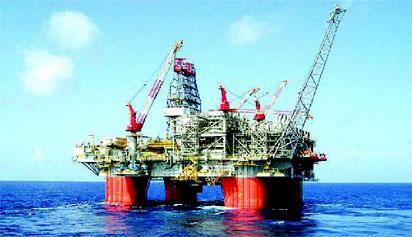 The post Panic as Nigeria records drop in rig count appeared first on Vanguard News.